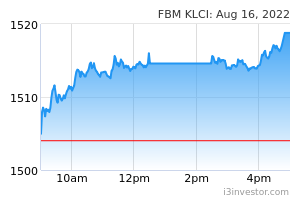 The FBM KLCI retreated in tandem with the weakness across key regional indices after the key index gapped-up before closing around the 1,887.75 pts. The MACD Histogram has turned red, while the RSI remains above 50. Resistance will be pegged around the 1,900-1,910 levels. Support will be set around the 1,860 level. 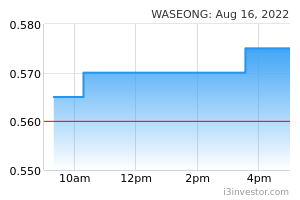 WASEONG continues to maintain its stance above the EMA20 level. The MACD Histogram has extended another green bar, while the RSI rose above 50. Monitor for a breakout above the RM1.71 and RM1.80 levels. Support will be set around the RM1.33 level. 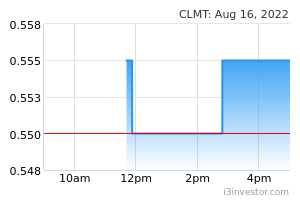 CMMT has experienced a short-term consolidation breakout above the RM1.55 level with improved volumes. The MACD Histogram has turned green. The RSI, however, is overbought. Price may recover towards the RM1.29-RM1.39 levels after a short consolidation. Support will be anchored around the RM1.06 level. 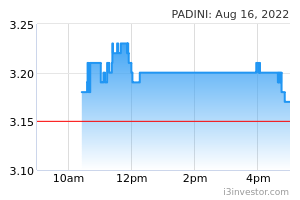 PADINI has rebounded to close above the EMA20 level with improved volumes. The MACD Histogram has turned green, while the RSI remains above 50. Monitor for a symmetrical triangle formation breakout above the RM4.80 level, targeting the RM5.34-RM5.49 levels. Support will be pegged around the RM4.48 level.